Second Summer is Live on Amazon and on Tour! 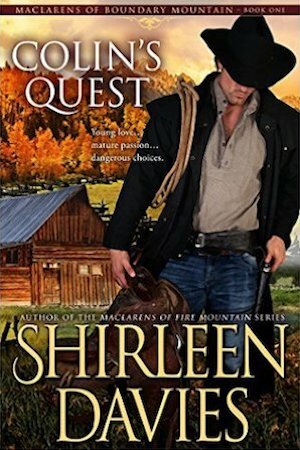 Second Summer – Book One in the MacLarens of Fire Mountain Contemporary Romance Novella Series. 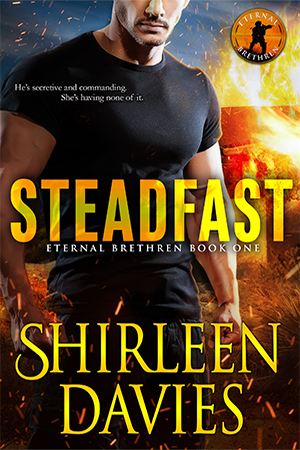 In this passionate Contemporary Romance, author Shirleen Davies introduces her readers to the modern day MacLarens starting with Heath MacLaren, the head of the family. The Chairman of both the MacLaren Cattle Co. and MacLaren Land Development, he is a success professionally—his personal life is another matter. Following a divorce after a long, loveless marriage Heath spends his time with women who are beautiful and passionate, yet unable to provide what he longs for . . .
Heath has never experienced love even though he witnesses it every day between his younger brother, Jace, and wife, Caroline. He wants what they have yet spends his time with women too young to understand what drives him and too focused on themselves to be true companions. It’s been two years since Annie’s husband died, leaving her to build a new life. He was her soul-mate and confidante, she has no desire to find a replacement, yet longs for male friendship . . .
Annie’s closest friend in Fire Mountain, Caroline MacLaren, is determined to see Annie come out of her shell after almost two years of mourning. A chance meeting with Heath turns into an offer to be a part of the MacLaren Foundation Board and an opportunity for a life outside her home sanctuary which has also become her prison. The platonic friendship that builds between Annie and Heath points to a future where each may rely on the other without the bonds a romance would entail. However, without consciously seeking it, each yearns for more . . . The MacLaren Development Company is booming with Heath at the helm. His meetings at a partner company with the young, beautiful marketing director, who makes no secret of her desire for him, are a temptation. But is she the type of woman he truly wants? Annie’s acceptance of the deep, yet passionless, friendship with Heath sustains her, lulling her to believe it is all she needs. At least until Heath drops a bombshell, forcing Annie to realize that what she took for friendship is actually a deep, lasting love. One she doesn’t want to lose. Each must decide to settle—or fight for it all. 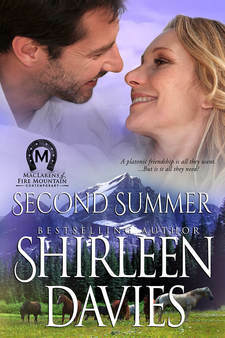 Second Summer is the first book in the MacLarens of Fire Mountain Contemporary novella series—heartwarming stories of difficult choices, loyalty, and lasting romance. Watch for Hard Landing in the Spring of 2014. I know this is an old post, but this sounds like a great read. The cover is beautiful.